Califone International is today unveiling the CD360, a CD player designed specifically for everyday classroom use. It features shatterproof ABS plastic for safety and durability, a maximum volume limiter so students can listen at a safe and appropriate level, skip and search functions, a directory button, anti-shock button and LCD display. The CD360 includes an 8200-HP digital stereo headphone and a one-year warranty. “Califone recognizes that AV equipment is at the heart of [curricula] for language learning programs and differentiated instruction,” said Doug Welles, vice president of specialty businesses. 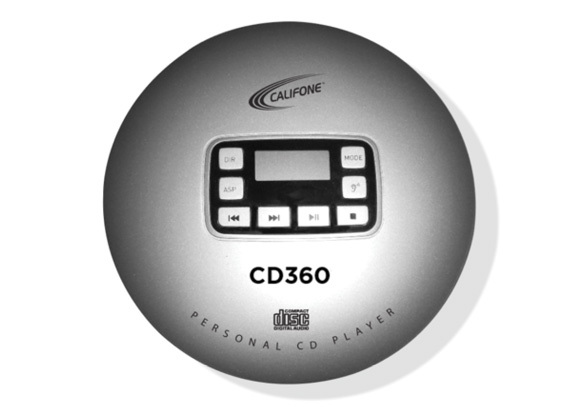 The CD360 will be available soon for purchase through Califone and its dealers. Chatsworth, CA-based Califone is exhibiting at the ISTE conference at booth 1444. To learn more about the company and to peruse its catalog, visit califone.com.